Using a laptop to scan OBD2 codes is an easy task and even possibly one of the better options. One of the great things about using a laptop when scanning codes is the ability to quickly look online for answers. As long as the laptop is online an error code can be looked up and the many online forums can be read through that will give an overview what others did to solve the problem. So How Do you Use a Laptop as a OBD2 Scanner? A USB-to-OBD2 cable is bought that interfaces from a laptop to a vehicles OBDII port. 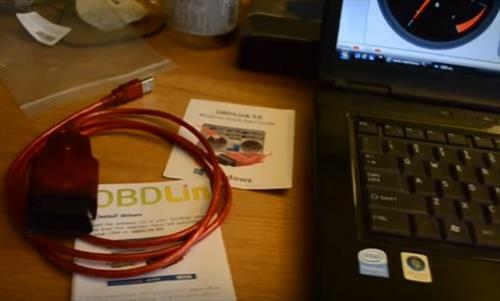 There are several USB-to-OBD2 cables that can be bought and hooked up. Software is also included that displays error codes, clears error codes, and many other features. One such popular unit is the OBDLink SX which comes with the USB-To-OBD2 converter cable and the OBDwiz software needed to get started. It works with most any laptop from older Windows XP to Windows 10, although the faster the laptop the better. After the USB-To-OBD2 device is plugged in between a laptop and the OBd-II port the software is the main focus. The software used called OBDwiz and is a widely used program in the OBD-II scan tool world. The software is loaded with features besides diagnosing error codes, from monitoring fuel mileage to checking emissions. 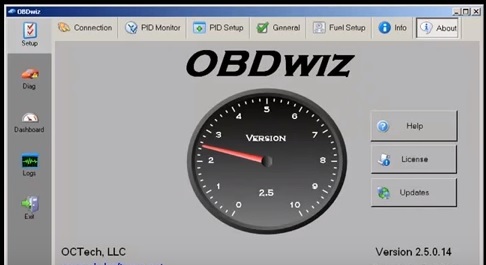 OBDwiz is not the only OBD-II software for a PC and there are many other programs that can read the codes from the USB interface and give the results. The software ranges from free to high-end paid options. Most simply stay with OBDwiz since it comes free with the OBDLink SX package. As most know OBD2 scan tools work on any 1996 or newer vehicle and of course the same applies to the OBDLink SX. There are a few other options for OBD2-To-USB PC based solutions but the OBDLink is currently the most popular solution. It is low cost, comes with everything needed to get started, and simply works. 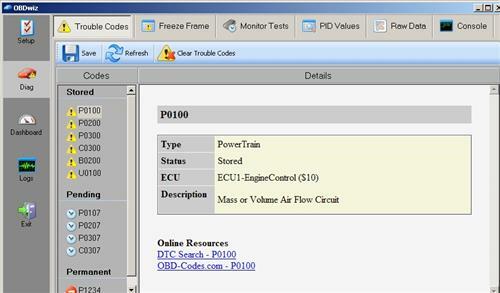 Using a PC Windows based computer as an OBD2 scanner is a good option. Even older laptops can work and display codes, erase them and do many other features. The USB interface tool is low cost and works as well as any of the expensive OBD2 scan tools I have seen. Also the software is always being updated to new versions which is basically like getting a entirely new tool when it does. how can I get ahold of the code for my 04 VW Jetta or change it without knowing the old one? I bought the car used and I should be getting a new radiator in the next few days and Im going to have to disconnect the battery to replace the radiator. I know about the alternative electric supply but am not willing to take a chance on the possibility of a car b Q which is almost a guarantee if I don’t find a way to get the code for the radio or find a way to change the code asap’ thanks in advance DAWG. can the cable also do key programming? can the system do cam retard? Can i use the cable and software to reflash my ecu? Been using Launch X431 for Ford issues. Android Apps certainly didn’t help. Then decided OBD software at http:/ /www.totalcardiagnostics.com after acquaintance recommendation as good obd2 scanner. They all have their plus/minus. X431 great with OEM codes like ABS, Airbag, Alarm. TOAD one of favorites for overall all round generic obd2 scanner. And Android DashCommand fantastic for “on the go”. Do you know of a low cost scan tool to work on a 1998 vw jetta tdi diesel. The problem I have is in this car, I have a after market radio in it and the other code reader I have try to used I get a linking error. You need to connect the K-Line of your radio wires to the ground.